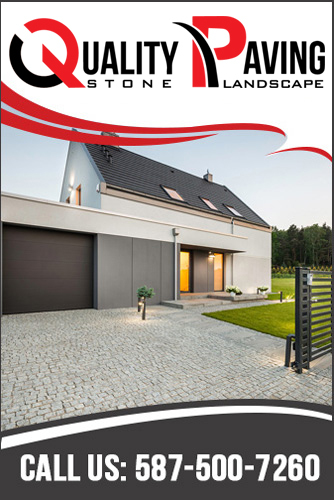 Quality Paving Stone Landscape is a family owned and locally operated paving stone and landscaping company located in Calgary. With years of hands-on combined experience, we are earning an industry reputation by delivering high quality paving services to residential clients. Our attention to detail and professionalism allow us to strive to surpass our competitors. Whether you want to install retaining walls, landscaping, stone work, patios or driveways, we provide exceptional services that tend to last for decades. We are equipped with the modern equipment and superior products to ensure 100% durable stonework service. Being your local paving contractors, our foremost commitment is to deliver 100% customer satisfied patio and driveway installation. No matter, its paving stone patios, sidewalks, driveways, retaining walls, planters, driveway crossings and other decoration work, we do them all. With us, you can rest assured as your property is in the safe hands. From minor repairs to updates and new installations, our paving stone services covers them all. We are your licensed paving experts in Calgary who are trained and skilled to make your paving project run smoothly and with professionalism. We put our heart and soul in every project and complete it with the highest possible standards. Our work ethics ensure your project is finished on time along with high quality work in a safe environment.